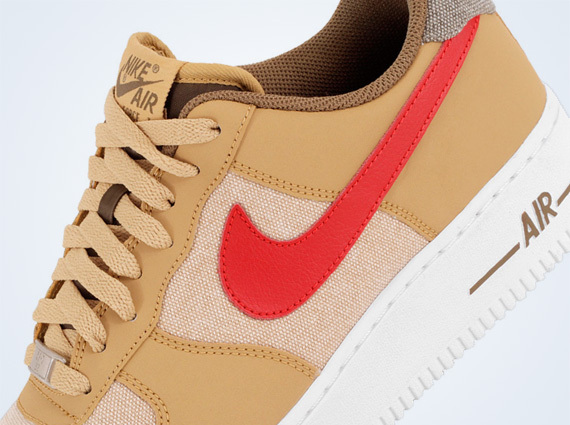 One of Nike Sportswear’s biggest hits of 2011 was an Air Force 1 Low Premium cast in denim with golden accents plus all the detailing of a finely crafted pair of raw Japanese selvage. 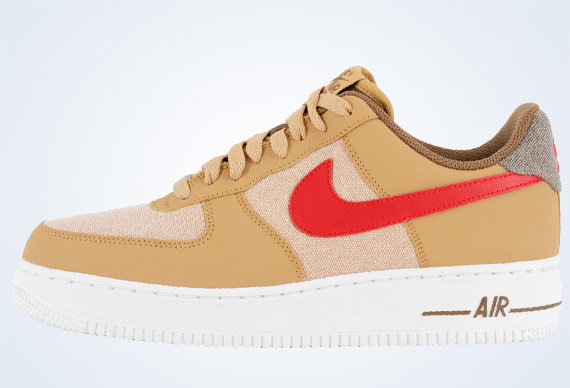 So what happens when you take that formula and invert it, making gold the dominant color and switching denim to select accent hits? 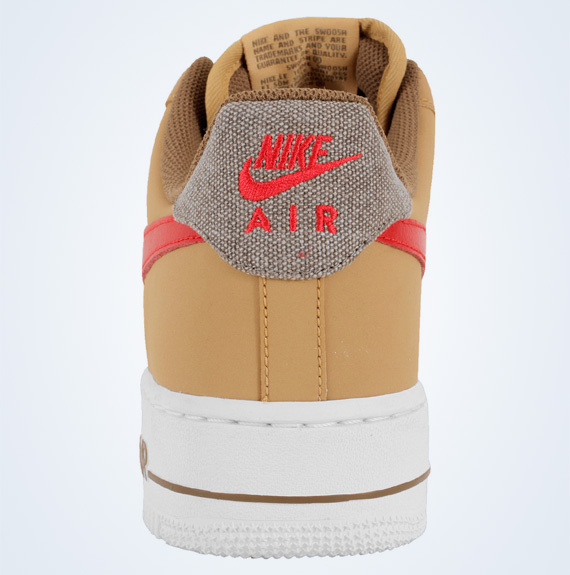 Only good things, as evidenced by this new Nike Air Force 1 Low in Jersey Gold with Sport Red accents, a look that utilizes a denim-like twill on its underlay while smooth leather rests on top. 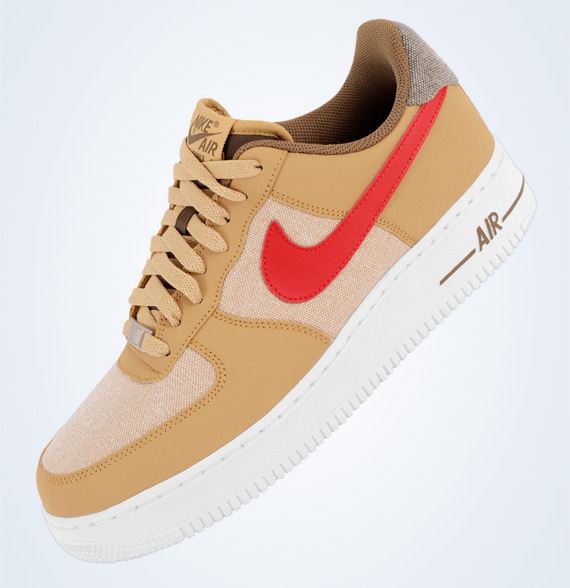 There are at least two other pairs with the same materials and blocking pattern slated for Q2 ’12; which ones will you purchase? 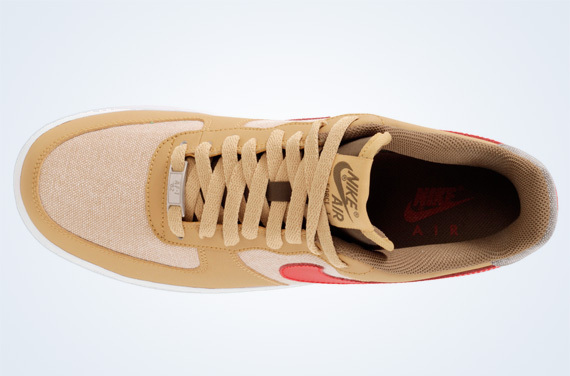 Click through for a closer look and stick with Sneaker News for all of Nike Sportswear’s Summer 2012 releases.